For Marsha’s birthday this year we gave her the one gift we knew she would love. In fact, it is the only thing I have heard her ask for over the years and it was a thrill to have it finally happen. The squash blossoms and heirloom tomatoes are Marsha’s babies. Every squash blossom here is picked under her supervision and she hand packs almost all of them to make sure that they receive the gentle care these delicate blossoms need. She has a very exacting process for packing the squash blossoms that is a little time and labor intensive, but it makes sure that every blossom arrives at a restaurant fresh and intact. Last year alone Marsha packed over 16,000 blossoms. Yes – 16,000 of them! 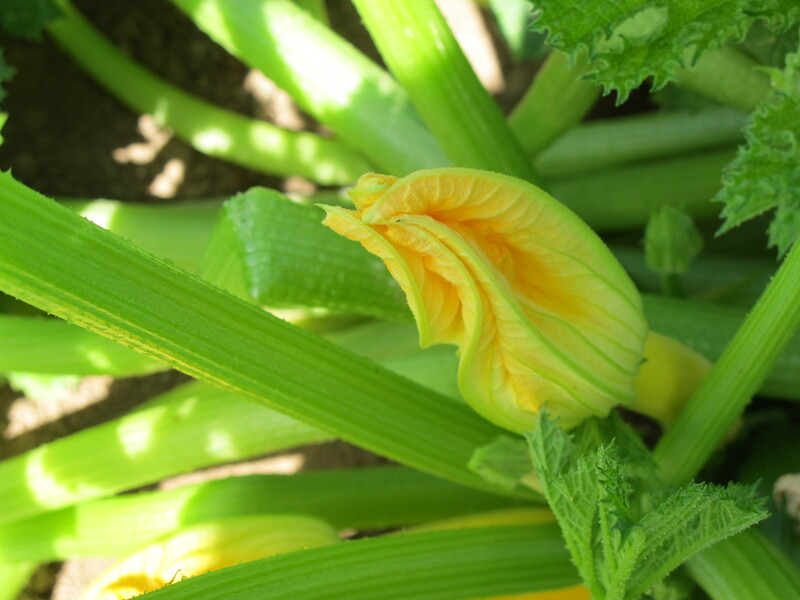 Not everyone knows what to do with a squash blossom, but those who do create wonderful things. We have tried a few at restaurants over the years and have heard stories of what other chefs are doing with them. 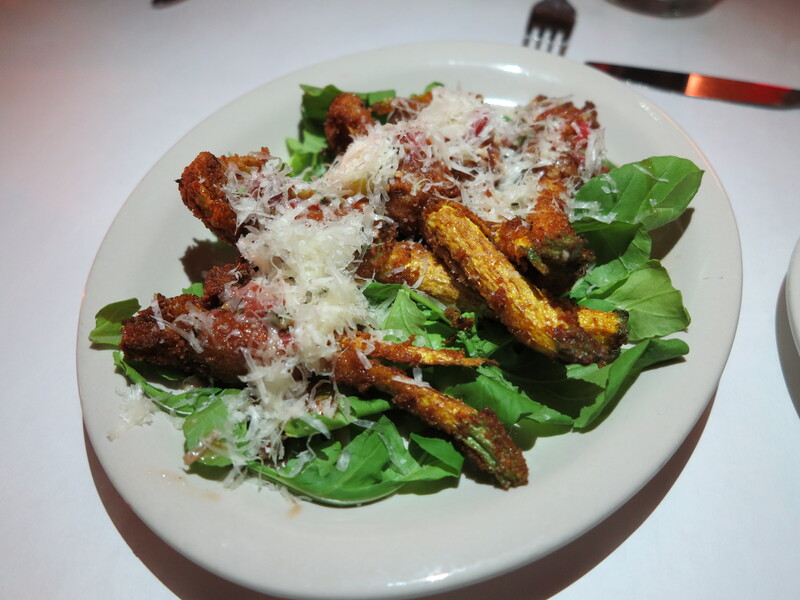 We have debated and imagined and wondered what different takes on the squash blossom would bring. Every time we discussed the blossoms Marsha mentioned that she would love to take a tour and see all of the different ways chefs prepare these precious flowers. It was a little comment, but one we had all heard her say every squash blossom season. And so, for her birthday this year, that is what we did. 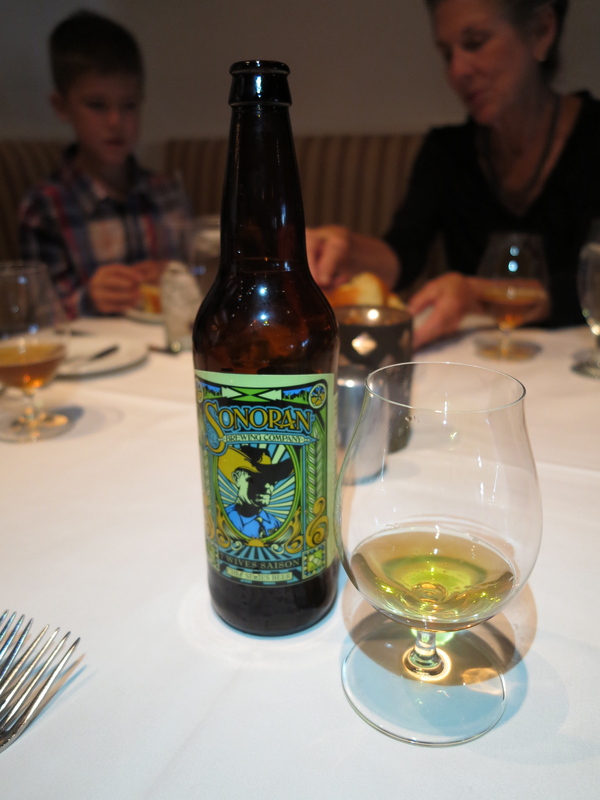 Last Friday night, we surprised Marsha with the Tour de Squash Blossom and it was a night she won’t soon forget. Bob, Sean and I had lined up four restaurants that we work with and let them in on our birthday plan, Aidan took care of making a sign to commemorate the tour and letting her in on the surprise. It took some coordinating to get in and out of four places in one night, but we were on a mission. The fun part was how into the chefs were, it even got a little competitive. They all brought their A-game and we have a few extra surprises along the way that made the night all the more special. We didn’t realize that our little tour would take us around the world in flavors. 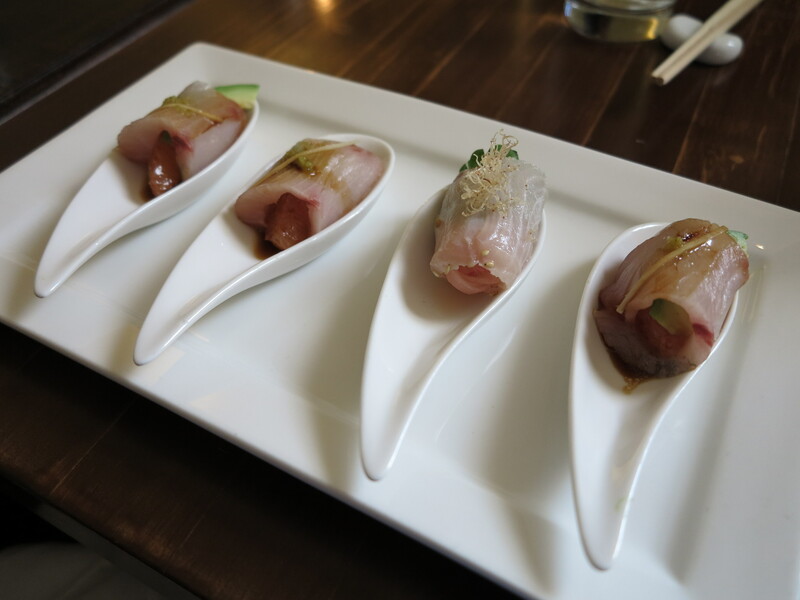 We started at Nobuo’s at Teeter House, beginning the evening with a long time favorite, his grapefruit and hamachi. It is so light and refreshing and the perfect starter on a hot summer evening. 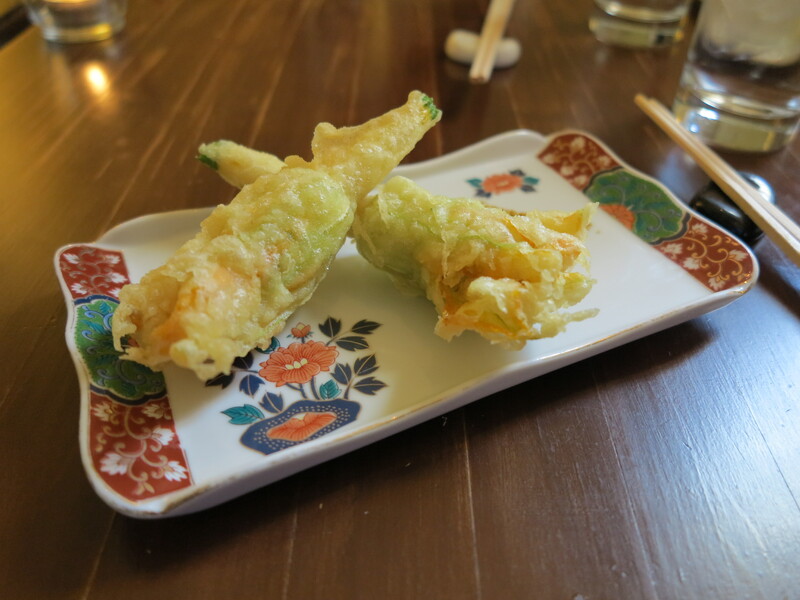 Nobuo’s squash blossoms are stuffed with goat cheese, dried shrimp and shiitake mushrooms with a light tempura batter and a curry salt to sprinkle over the top. It was a wonderful Japanese take on the squash blossom and the curry salt brought all of the flavors together perfectly. Nobuo also surprised us with a lovely dessert he made Marsha. 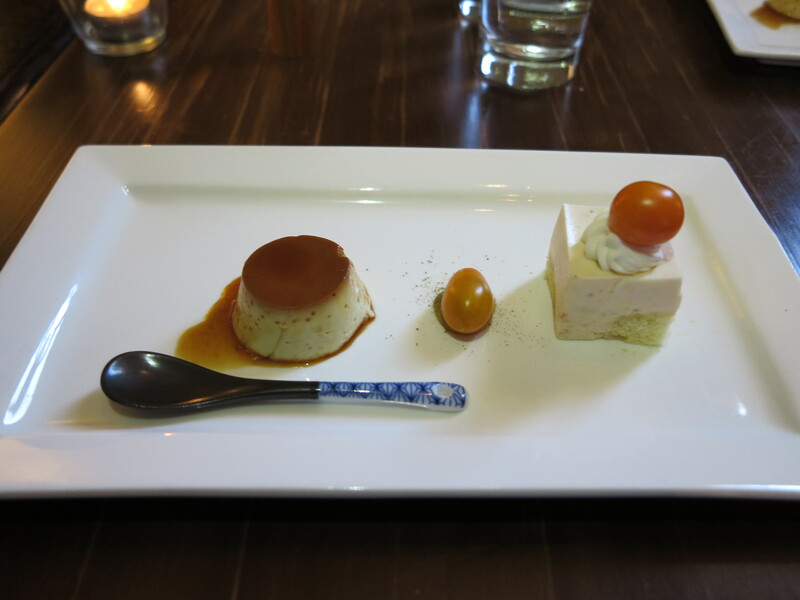 He had three little heirloom tomato desserts to cleanse our palates. The real eye opener was the tiny basil cake that was used as a base for one, it was like nothing we had ever tried before. Marsha and I are now thinking of how and what to do with a basil cake. Nobuo was so excited for our tour that he wanted to come along. 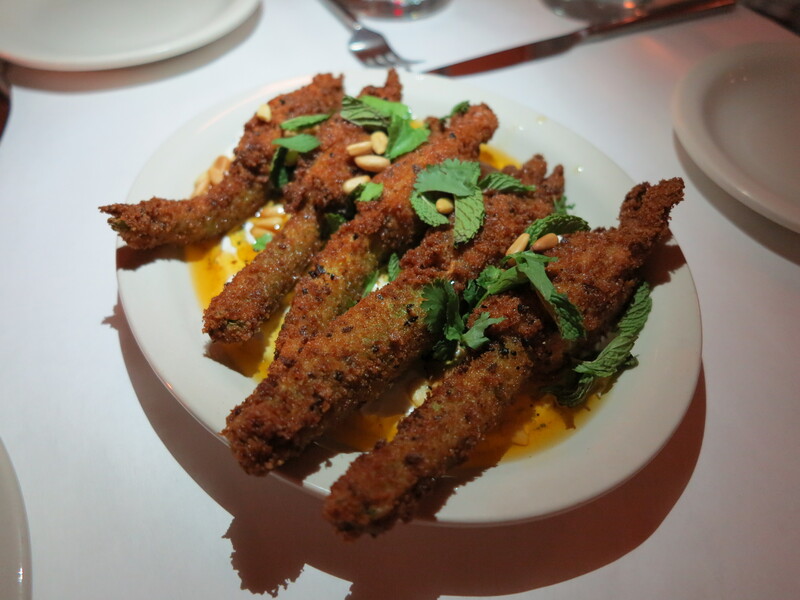 One of the first chefs to use our squash blossoms, and one who holds them as dear as Marsha, is Chrysa Robertson at Rancho Pinot. She has been a long time fan of our squash blossoms and we have enjoyed them at Rancho Pinot for many years. 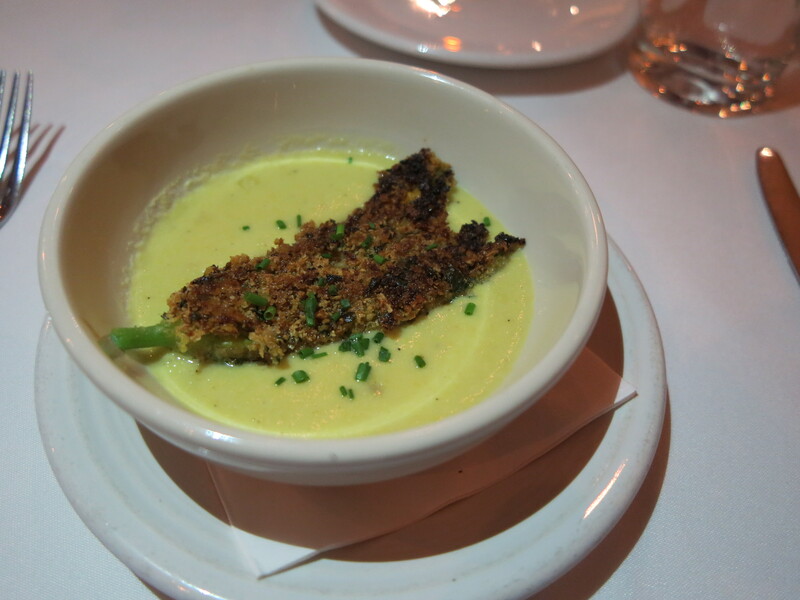 She too had a surprise in store, sending out a sweet corn chowder as a starter with a squash blossom on top, just as her grandmother used to make. It was a resounding hit! She then sent out her stuffed squash blossoms filled with a herbed ricotta and goat cheese and served on a bed of arugula with tiny tomatoes and a citrus vinaigrette. It tasted like Italy. I have tried in the past to copy her take on squash blossoms, but there is no topping the original. 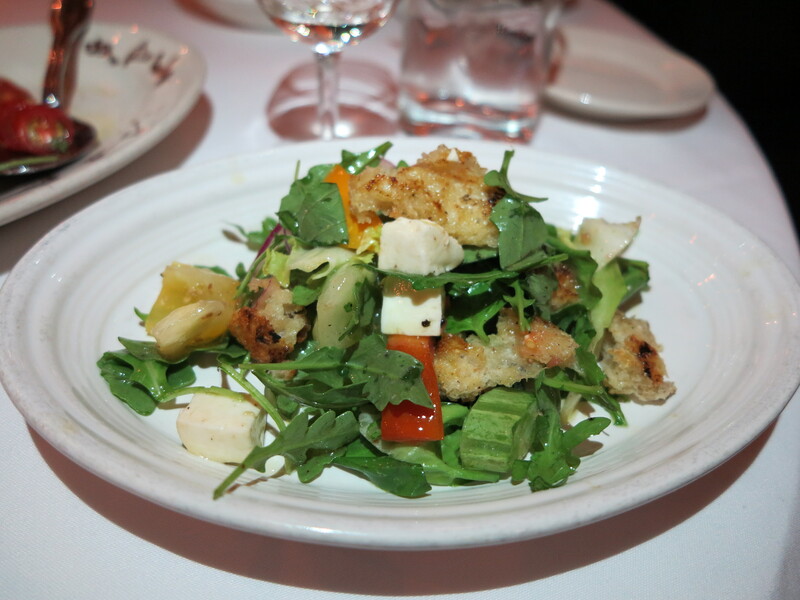 We also had the Heirloom Tomato Panzanella. 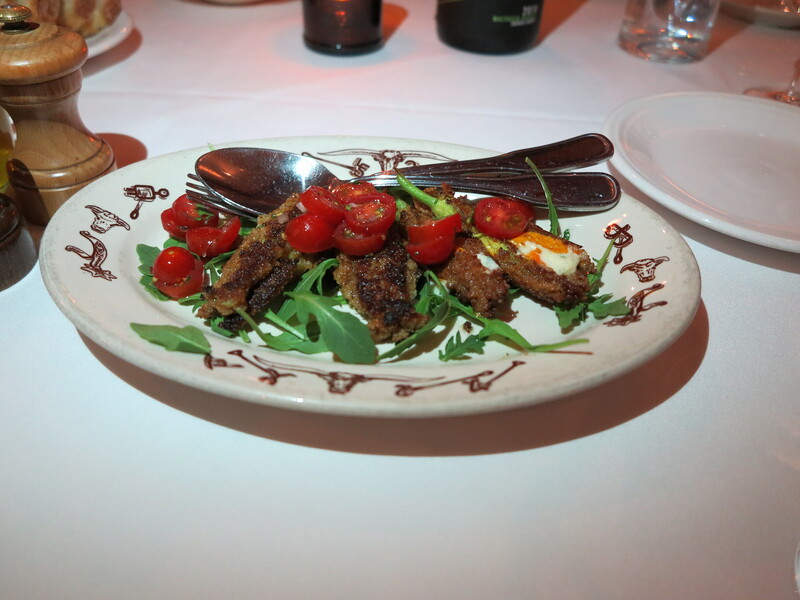 Chrysa loves our heirloom tomatoes just as Marsha does as well, and the Panzanella had a nice mix of different varieties of heirlooms mixed in with arugula, house-pulled mozzarella and grilled croutons. It was a lovely feast of summer flavors. And Charleen Badman at FnB was not to be outdone. 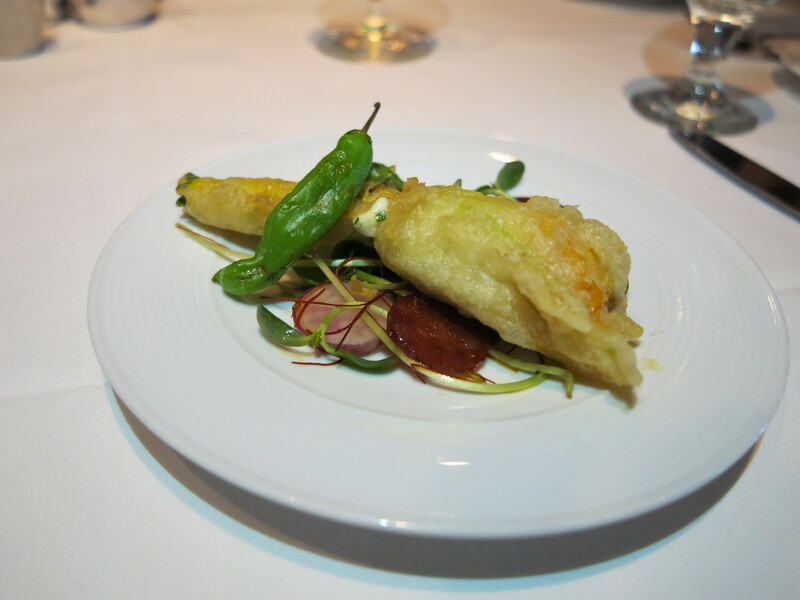 She sent out three different takes on squash blossoms to round out the evening. 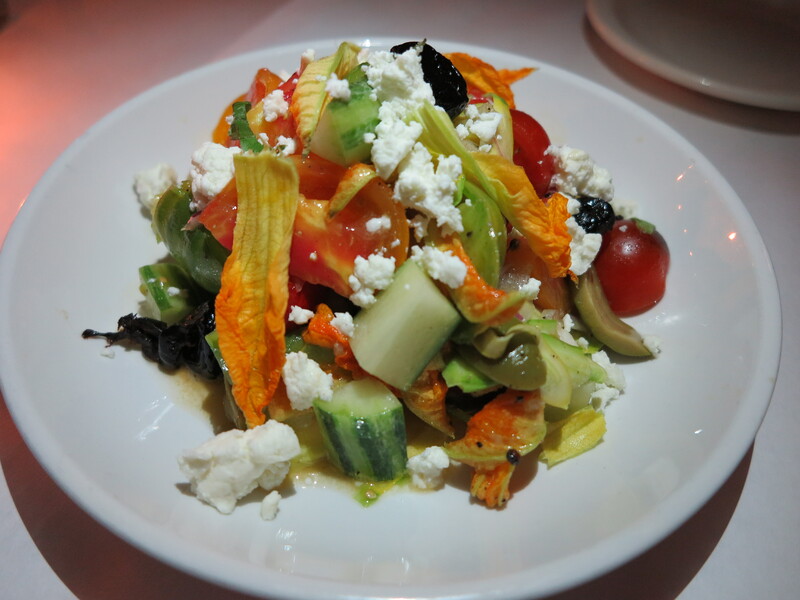 She started us with a salad with raw squash blossoms mixed in with tomatoes, cucumbers and a light dressing. She then had two different versions of stuffed blossoms for us to try, one more traditional with cheese on a bed of arugula and topped with parmesan and the other stuffed with lamb served with a mint, pine nuts and a yogurt sauce for a more Middle Eastern flare. It was like a firework finale to a spectacular evening! We ended the evening happy with the overall outcome of a successful tour. There were other restaurants that we would have loved to have added, maybe next year. If you are wondering if there was a favorite of the evening? Well, we discussed and weighed the merits of each, but truth be told, they were each perfect in their own right. There was no clear consensus, just a car full of contented (and very full) McClendons. What a great evening! Thanks for sharing. Thanks for sharing your fun evening. Sounds like it was delicious.